We offer products in three categories, each designed to help you improve your personal lifestyle. Explore our products and experience the change for yourself. Build your INCOME, get out of DEBT, and PROSPER in any economy. How Big Can You Dream ? Take steps toward developing a leadership culture within your organization. Grow yourself. Achieve more. Begin living the life you've always wanted. include audios, videos, and books in both physical and digital formats, as well as interactive educational experiences in language learning and sales skills. Additionally, we offer services designed to help people track their expenses, save money on their spending, protect their identity, monitor their credit, and legally get their affairs in order. For the large percentage of people who struggle with debt and credit problems, we offer debt freedom through our Financial Fitness products and services. And for those who are underprivileged, disenfranchised, or victims of disaster, we offer functional freedom through our Life on Life Initiative and charitable outreaches. In just over 3 months we have gone from 200 in the negative a month to finding an extra 200 a week. Our debt is being paid down faster and for the first time in over a decade we have almost $2000.00 in savings. In one month, we were able to trim over $600 out of our monthly expenses. We were also able to apply the FFP principles to our monthly consumer obligations and were able to eliminate over $25,000 in credit card debt in about 4 months. My husband and I were able to pay off our home and we own our vehicles. $70,000 in debt gone thanks to the Financial Fitness program! We are bringing a child into this world & get to teach baby Lehman the same financial principles. I am also able to be a stay-at-home mother and wife at the age of 21! The Lord has blessed us significantly! With the help of the Financial Fitness Program, we have eliminated nearly $180,000 in debt. We became debt free and took the vacation of a lifetime the same year, all thanks to the FFP! 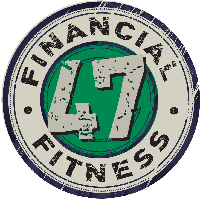 We love the Financial Fitness Program!! Using the principles it teaches, and working with some amazing coaches, we were able to pay off almost $100,000 in debt. What an incredible feeling to completely own our lives for the first time in years!!! Thanks to the FFP we have reduced our debt by 75%. We are looking forward to getting completely out of the Financial Matrix, and bringing as many families with us as possible. By applying the principles in the FF pack, in under 2 years we became debt free. It changed our lives totally. When we walked into our 2nd home for the first time, we both looked at each and thought the same thing in the same moment, ‘doesn’t it just smell better being paid for? In a little over 2 years. We have paid off over 40,000 in debt. Left an income of 40k a year and am now able to be a stay at home mom. We also were honored to be able to start a non-profit Christian ministry. Within the next year we will be debt free and with the new Track and Save that will only shorten the length of time it takes to Break Free of the Financial Matrix.